Each type furnace can be designed to possess one of the flowing three atmosphere dewaxing ways: H2 at low positive pressure,vacuum and low minus pressure of carrier gas. 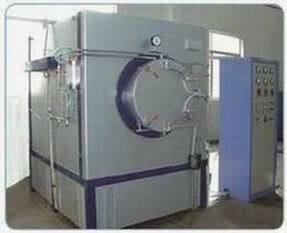 The new type of controlling atmosphere debindering furnace can be provided with all three atmosphere debindering ways. It is capable of debindering every binder such as wax, rubber, PEG, SBS, SPB, 2C, and so the like. Patent technology makes the carrier gas uniformity and cooling down quickly after finish of debinding. Special designing of structure of heating and heat preservation can make the temperature uniformity in 7c.